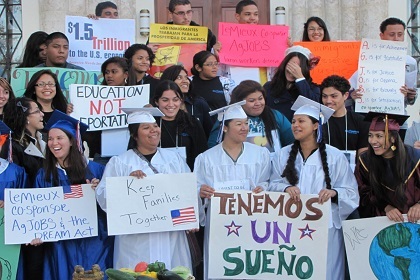 http://newiprogressive.com/images/stories/S5/dreamers-s5.jpg 87% of Americans are in favor of passage, so let your U.S. Senators and Representative know. Trump budget proposal would gut Medicare by $554 billion. 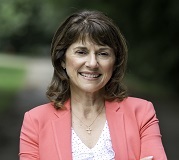 Vukmir and Nicholson have previously endorsed cuts to Medicare, Medicaid and Social Security. 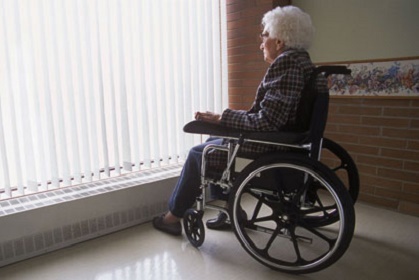 MADISON - This week, President Donald Trump released his administration's 2019 budget request which calls for a dramatic, $554 billion ravaging of Medicare, a vital program that more than 1,000,000 Wisconsinite seniors count on for health care coverage. The Trump Administration budget request also guts Medicaid -- a program that provides vital health care coverage for 1-in-3 kids in Wisconsin and 3-in-5 Wisconsin nursing home residents -- by $1.4 trillion. 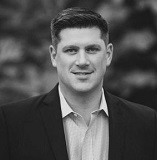 Republican U.S. Senate candidates right-wing state Sen. Leah Vukmir and out-of-state billionaire puppet Kevin Nicholson have previously endorsed cuts to Medicare, Medicaid and Social Security, and now they're standing by Trump's plan to gut Wisconsinite seniors and future retirees' hard-earned benefits. "It's no secret that Leah Vukmir and Kevin Nicholson are on board with right-wing corporate special interests' plans to gut Wisconsinites' earned benefits," said Brad Bainum, Democratic Party of Wisconsin spokesperson for the 2018 Senate race. "Of course Vukmir and Nicholson are standing with Trump as he attacks Wisconsin seniors and aims to slash Medicare by a whopping $554 billion." Meets with President Donald Trump at the White House Monday to plead for federal help to repair Wisconsin’s crumbling roads and bridges after his years of neglect. MADISON - Gov. 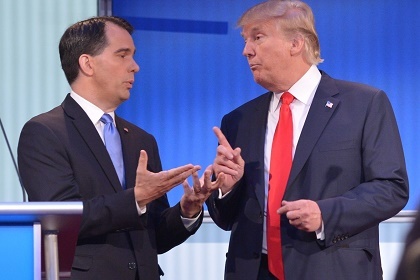 Scott Walker will meet with President Donald Trump at the White House today to plead for federal help to repair Wisconsin’s crumbling roads and bridges. The threat of a tough election has Walker in a panic and groveling for Trump’s assistance after neglecting Wisconsin’s infrastructure crisis for years. Walker has every right to be scared, too. On his watch, Wisconsin’s roads have become the 2nd worst in the nation. “Scott Walker and his Republican Party have controlled Wisconsin government for seven years, and in that time our roads have crumbled,” said Martha Laning, chair of the Democratic Party of Wisconsin. “Wisconsinites deserve better than Walker’s desperate, election-year stunts. We need long-term infrastructure solutions and it’s clear that Scott Walker has none to offer." The Obama Administration had offered Walker federal infrastructure funding in the past, but he turned it down to cater to national conservatives in advance of his run for president. These rejected funds include over $800 million for high-speed rail and over $20 million for broadband. Most significantly, Walker rejected bringing our tax dollars back home to Wisconsin to fund an expansion of BadgerCare, which cost the state over $1 billion. Those funds would have freed up tax revenue for rebuilding our crumbling roads and unstable bridges. Walker’s recent flurry of misleading statements on transportation are further evidence of his panicked attempt to cover up a dreadful record on infrastructure in an election year. His claims that he spent more on transportation than Gov. Jim Doyle and that road repairs are ahead of schedule were both found to be misleading and mostly false by Politifact Wisconsin.